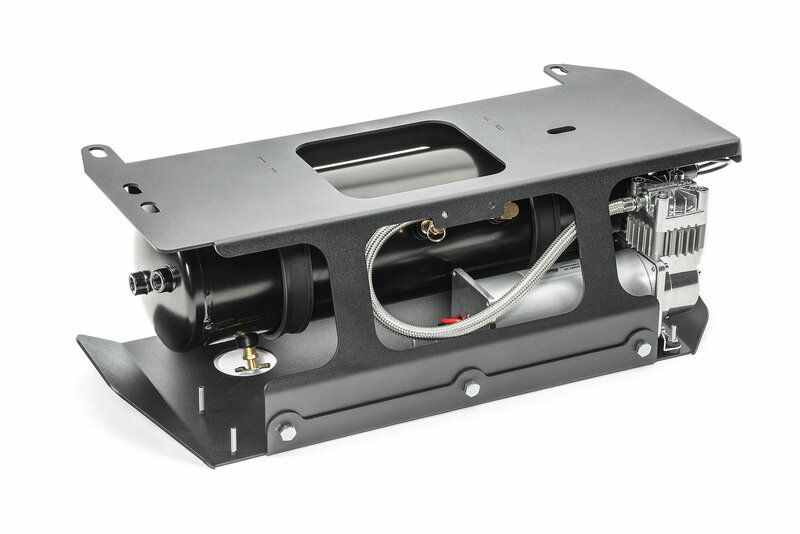 The Kleinn On Board Air System is custom designed for your Jeep Wrangler Unlimited JL and JK. 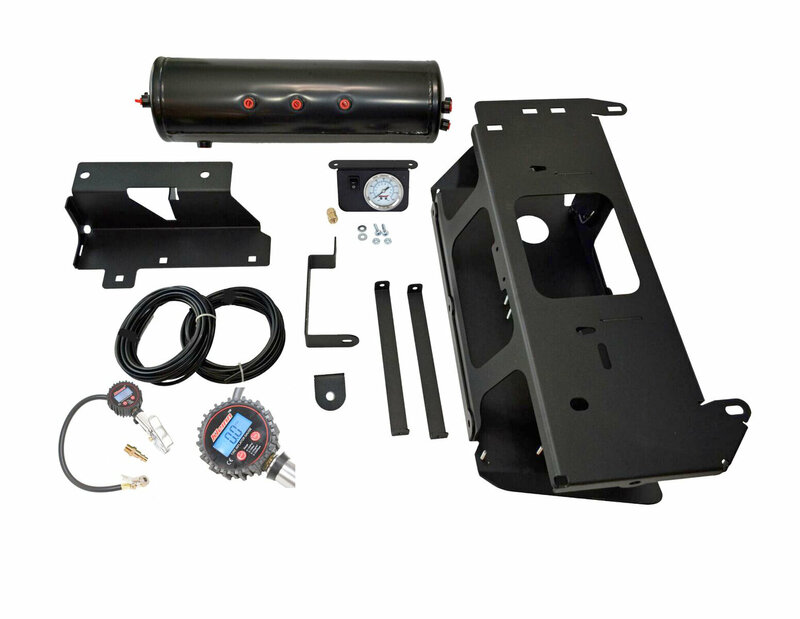 A complete OBA system that will allow you to air up to 37" tires at any location. 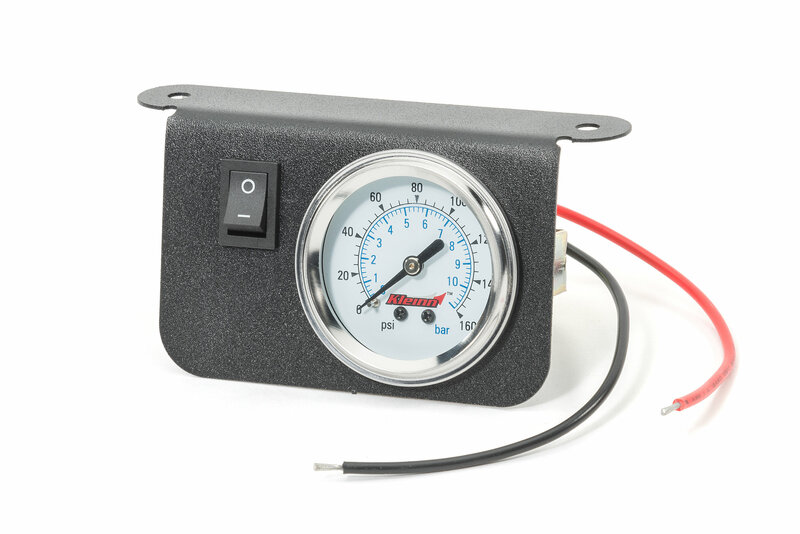 No more waiting to borrow a friends compressor after a long day of wheeling or waiting in line at a gas station to refill. On board convenience that can do so much more. Upgrade to air horns, run small air tools and add air lockers. Note: Only compatible with the 4 door Jeep Wrangler. OBA Convenience: Providing compressed air for all your Jeep needs. Compatible with air horns, air lockers, and small air tools. Also giving you the ability to quickly inflate up to 37" tall tires. Maintain Ground Clearance: Mounting under the Jeep between the driveshaft and exhaust on the 4 door wrangler. Protected with a steel cage and skid plate for lasting performance. Giving protection from debris and obstacles on the trail. Note: Not compatible with the 2 door Wrangler. Does this mount in a specific location on the wrangler? 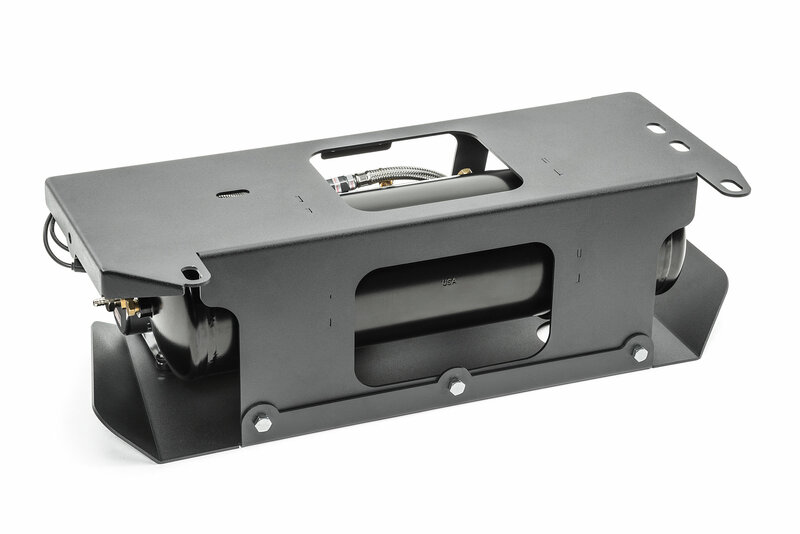 Mounts under Jeep Wrangler Unlimited JL between the rear driveshaft & exhaust.